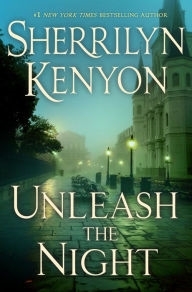 VJ Books Presents Author Sherrilyn Kenyon! Sherrilyn Kenyon was born in 1965 in Columbus, Georgia. As a child, she often took solace in books, and she began writing her own stories at age 7. Later, she wrote for school newspapers and sold articles to magazines. 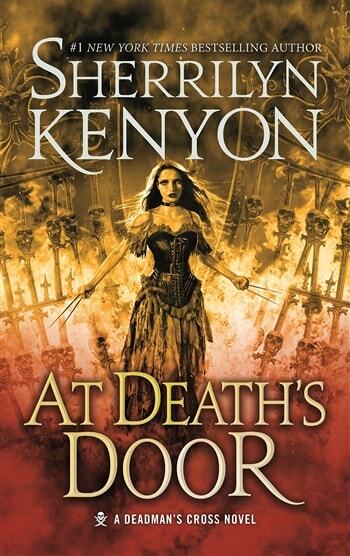 While in college, Kenyon decided to give writing a serious try, and assembled a full-length manuscript, but after the death of her brother, she put writing aside. Years later, after marrying her husband, who encouraged her to begin writing again, she published her first novel. But her writing career did not take off. After a difficult pregnancy, student loans and medical debt forced her and her family into homelessness. 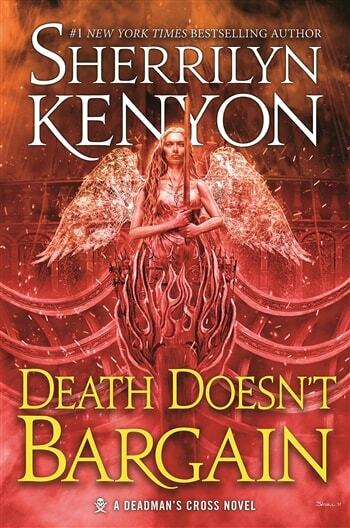 Kenyon's fortunes eventually changed when she landed a job as a web designer, and she continued writing when she could, but soon found herself in need of a new agent. Using her lunch money to buy stamps for correspondence with publishers, she finally managed to sell another book. And then another. And another. 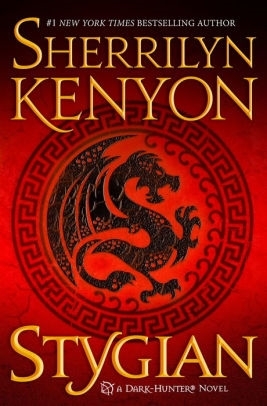 Today, Kenyon has published more than 80 titles and works full-time as an author. She is best known for her Dark Hunter series books, and her works have topped the New York Times Bestseller list and earned her numerous literary awards. She has also written under the pen name Kinley MacGregor. 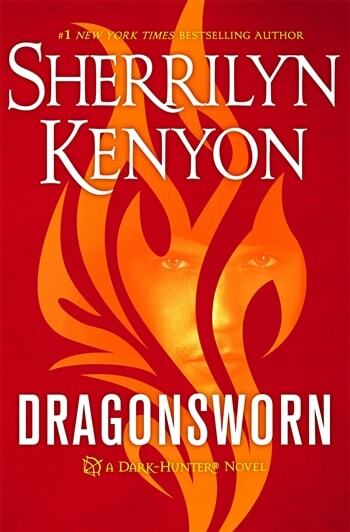 You can find Sherrilyn Kenyon signed books below this bio. 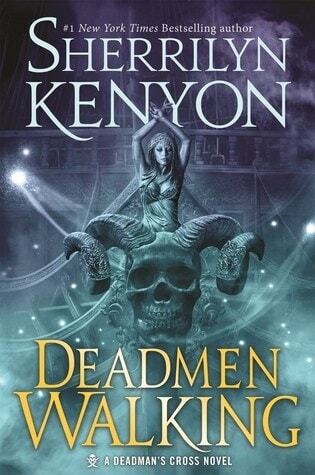 Kenyon lives with her husband and their children. Author Signed Hardcover Book. May 2019 NY: Tor Books First edition, first printing, mint, new/unread in a flawless dust jacket, signed by author. Each dust jacket is protected in an acid-free archival quality acetate cover. Author Signed Hardcover Book. 2005 NY: Simon & Schuster First edition, first printing, mint, new/unread in a flawless dust jacket, signed by the author. Each dust jacket is protected in an acid-free archival quality acetate cover. Author Signed Hardcover Book. 2009 NY: St. Martin's Press First edition, first printing, mint, new/unread in a flawless dust jacket, signed by the author. Each dust jacket is protected in an acid-free archival quality acetate cover. Author Signed Hardcover Book 2009 NY: St. Martin's Press First edition, first printing, fine in a fine dust jacket,signed by the author, remainder marked. Each dust jacket is protected in an acid-free archival quality acetate cover. Author Signed Hardcover Book November 2015 NY: St. Martin's Press First edition, first printing, mint, new/unread in a flawless dust jacket, signed by author. Each dust jacket is protected in an acid-free archival quality acetate cover. Author Signed Hardcover Book November 2015 NY: St. Martin's Press First edition, first printing, fine in a fine dust jacket, signed by author, remainder marked. Each dust jacket is protected in an acid-free archival quality acetate cover. Author Signed Hardcover Book. May 2015 NY: St. Martin's Press First edition, first printing, mint, new/unread in a flawless dust jacket, signed by the author. Each dust jacket is protected in an acid-free archival quality acetate cover. Author Signed Hardcover Book. May 2015 NY: St. Martin's Press First edition, first printing, fine in a fine dust jacket, signed by the author, remainder marked. Each dust jacket is protected in an acid-free archival quality acetate cover. Author Signed Hardcover Book. July 2014 NY: St. Martin's Press First edition, first printing, mint, new/unread in a flawless dust jacket, signed by the author. Each dust jacket is protected in an acid-free archival quality acetate cover. Author Signed Hardcover Book. June 2016 NY: St. Martin's Press First edition, first printing, mint, new/unread in a flawless dust jacket, signed by the author. Each dust jacket is protected in an acid-free archival quality acetate cover. Author Signed Hardcover Book. June 2016 NY: St. Martin's Press First edition, first printing, fine in a fine dust jacket, signed by the author, remainder marked. Each dust jacket is protected in an acid-free archival quality acetate cover. Author Signed Hardcover Book. April 2011 NY: Grand Central Publishing First edition, first printing, mint, new/unread in a flawless dust jacket, signed by the author. Each dust jacket is protected in an acid-free archival quality acetate cover. Author Signed Hardcover Book. April 2011 NY: Grand Central Publishing First edition, first printing, fine in a fine dust jacket, signed by the author, remainder marked. Each dust jacket is protected in an acid-free archival quality acetate cover. Author Signed Hardcover Book. February 2017 NY: St. Martin's Press First edition, first printing, mint, new/unread in a flawless dust jacket, signed by the author. Each dust jacket is protected in an acid-free archival quality acetate cover. Author Signed Hardcover Book. February 2017 NY: St. Martin's Press First edition, first printing, fine in a fine dust jacket, signed by the author, remainder marked. Each dust jacket is protected in an acid-free archival quality acetate cover. Author Signed Hardcover Book January 2014 NY: St. Martin's Press First edition, first printing, mint, new/unread in a flawless, dust jacket, signed by the author. Each dust jacket is protected in an acid-free archival quality acetate cover. Author Signed Hardcover Book 2006 NY: St. Martin's First edition, first printing, fine in a fine dust jacket,signed by the author, remainder marked. Each dust jacket is protected in an acid-free archival quality acetate cover. Author Signed Hardcover Book. May 2017 NY: Tor First edition, first printing, mint, new/unread in a flawless dust jacket, signed by the author. Each dust jacket is protected in an acid-free archival quality acetate cover. Author Signed Hardcover Book. May 2018 NY: Tor First edition, first printing, mint, new/unread in a flawless dust jacket, signed by the author. Each dust jacket is protected in an acid-free archival quality acetate cover. Author Signed Hardcover Book August 2015 NY: St. Martin's Press First edition, first printing, mint, new/unread in a flawless dust jacket, signed by author. Each dust jacket is protected in an acid-free archival quality acetate cover. Author Signed Hardcover Book August 2015 NY: St. Martin's Press First edition, first printing, fine in a fine dust jacket, signed by author, remainder marked. Each dust jacket is protected in an acid-free archival quality acetate cover. Author Signed Hardcover Book. August 2016 NY: St. Martin's Press First edition, first printing, mint, new/unread in a flawless dust jacket, signed by the author. Each dust jacket is protected in an acid-free archival quality acetate cover. Author Signed Hardcover Book. 2016 NY: St. Martin's Press First edition, first printing, fine in fine dust jacket, signed by the author, remainder marked. Each dust jacket is protected in an acid-free archival quality acetate cover. Author Signed Hardcover Book. August 2017 NY: St. Martin's Press First edition, first printing, mint, new/unread in a flawless dust jacket, signed by the author. Each dust jacket is protected in an acid-free archival quality acetate cover. Author Signed Hardcover Book April 2014 NY: St. Martin's Press First edition, first printing, mint, new/unread in a flawless, dust jacket, signed by the author. Each dust jacket is protected in an acid-free archival quality acetate cover. Author Signed Hardcover Book April 2014 NY: St. Martin's Press First edition, first printing, fine in a fine dust jacket, signed by the author, remainder marked. Each dust jacket is protected in an acid-free archival quality acetate cover. Author Signed Hardcover Book 2012 NY: St. Martin's Press First edition, first printing, mint, new/unread in a flawless, dust jacket, signed by the author. Each dust jacket is protected in an acid-free archival quality acetate cover. Author Signed Hardcover Book 2012 NY: St. Martin's Press First edition, first printing, fine in a fine dust jacket, signed by the author, remainder marked. Each dust jacket is protected in an acid-free archival quality acetate cover. Author Signed Hardcover Book 2013 NY: St. Martin's Griffin First edition, first printing, fine in a fine dust jacket, signed by the author, remainder marked. Each dust jacket is protected in an acid-free archival quality acetate cover.